They're never too young to start training for athletics, and this Fila Flicker athletic shoe will prepare them for anything! This style features a breathable mesh fabric upper and a padded tongue and collar for ankle support. 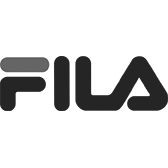 The Fila Flicker has a bungee lace panel with an adjustable velcro strap closure to keep their feet secure.